Our What Makes You Happy Tote Bag comes wrapped in our signature tissue tucked inside a re-usable Obakki Foundation pouch. The package includes a tag explaining how your purchase is transforming lives. 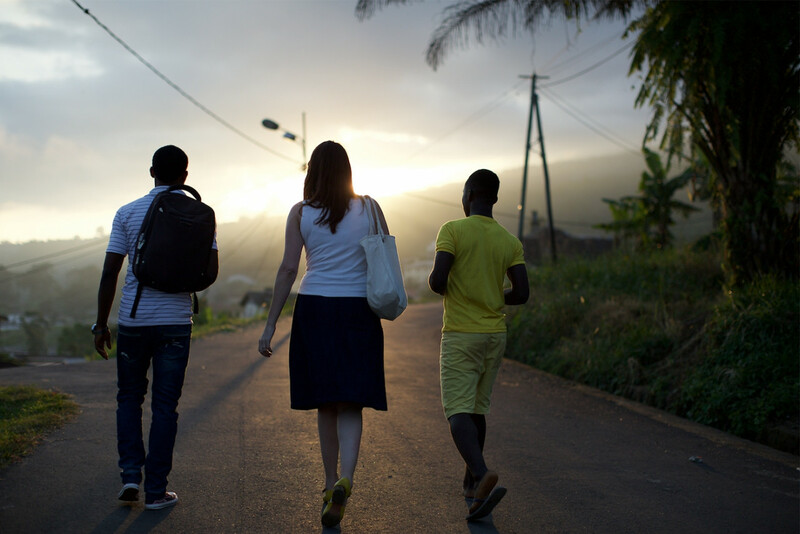 Whether you bought a scarf, tote bag or book, you've invested in a brighter future for kids in Cameroon. 100% of the net proceeds goes towards our projects. 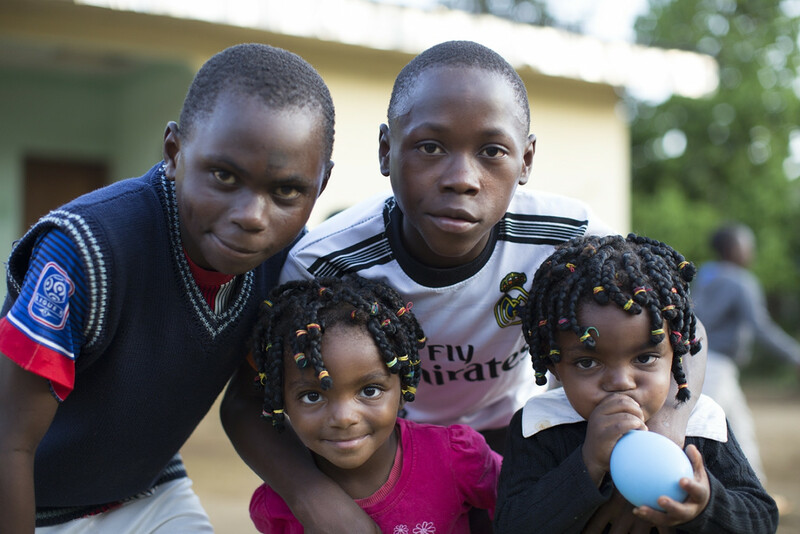 Your purchase provides food, education, medical care and housing to the children of St. Valentines Orphanage. Through your purchase, we're able to provide food, education, medical support and housing for the children of St. Valentines Orphanage. We asked these children three questions: What makes you happy? What makes you sad? What makes you afraid? Their answers are as illuminating as they are heartbreaking. 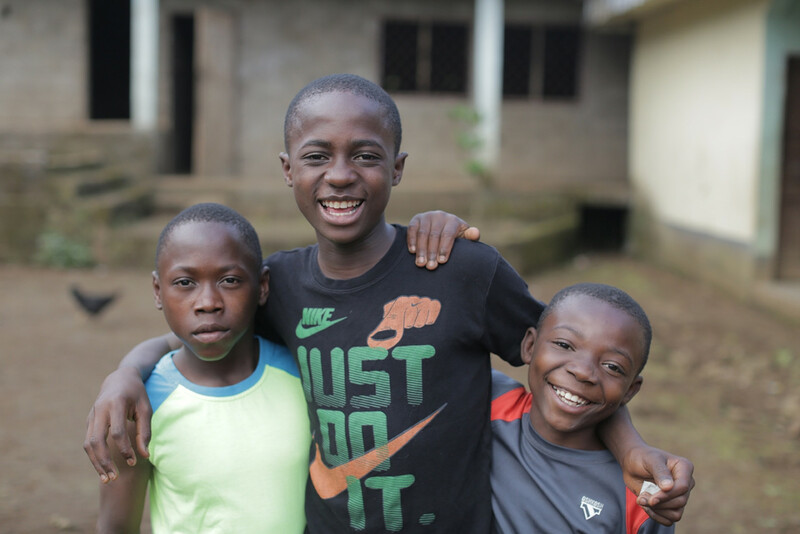 In addition to things that make most children happy - like cake and superheroes - the kids of St.Valentines also find joy in a book, because in Cameroon getting an education is a privilege rather than a right. Many kids are afraid of snakes, but these children are equally scared of mosquitoes because they carry deadly disease. 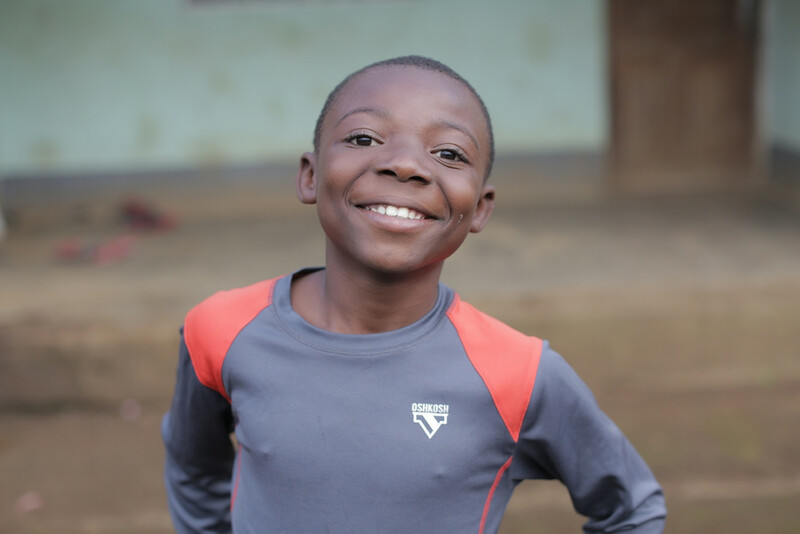 Despite the many differences formed by their experiences as orphans in Africa, these children ultimately want what every child wants, regardless of their circumstances - to feel safe, acknowledged and loved. The Obakki Foundation Tote Bag is printed with a graphic pattern that contain their answers in words.